It's no joke that many anime fans have been horribly insulted by the Dragon Ball Evolution movie. Upset? Angry? Want 20th Century Fox to burn for all eternity? Well, relax and forget about the obvious insult to anime fans that Hollywood love to throw out and sadly..will continue to do. 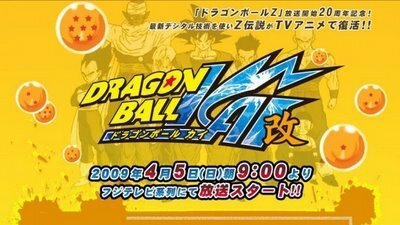 Just released in Japan a few hours ago was a new Dragon Ball series, Dragon Ball Kai. In short the series is a filler-less redo of the Dragon Ball Z series. Brand new animation and all the original voice actors (except for the late Seiyu of Tien) this is a God-sent for any anime fan...particularly DBZ fans who will surley cause some riots over the Hollywood insult. But wait there's more; Out on the 29th is an awesome looking Dragon Ball Kai Nintendo DS game.....sweet.